For me, modern homesteading is a magical concoction of old-fashioned skills mixed with our modern-day conveniences. Although we raise a lot of food on our property, are obsessive DIYers, and try to be as self-sufficient as possible, my husband had a “job in town” for years, and there are times when I’m quite thankful for the local grocery store. It’s a balance. That said, I think most of us homestead-folks would agree: the sign you’ve officially “arrived” as a modern homesteader is the day you create an income exclusively from your land. It’s something definitely on our list of goals, and we are achieving it in our own way (more on that later). 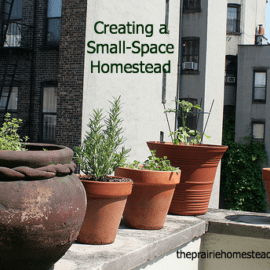 However, we didn’t start out this way, and we limped along for several years before we found what works for us to support our homestead and grow our dreams. The downside to selling food you’ve grown or made, is dealing with restrictive food safety laws (especially in regards to meat and milk). Do your homework first and looked into your state’s regulations extensively before proceeding. One strategy to help avoid red tape is to sell the animals themselves, rather than the food product. 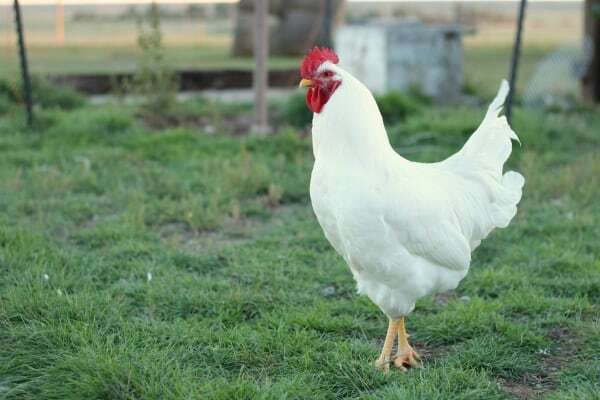 For example: if you are raising meat chickens for profit, you can often sell the bird without as many hoops to jump through, as compared to selling cut and wrapped chicken breasts. 1. 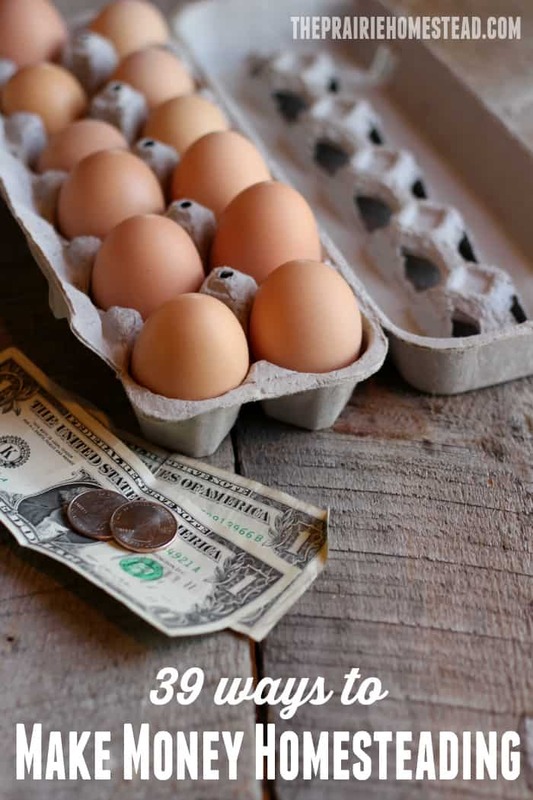 Sell eggs — someone is ALWAYS wanting farm-fresh eggs! 2. Sell extra milk from your goats or cow. 3. Start a cowshare or goatshare program — This is one way to work around raw milk laws– just do your homework first. 4. Sell cheeses or other homemade dairy products. 7. Raise and sell heritage turkeys, ducks, or geese. 11. Make homemade baked goods and sell them at your local farmers market. Homemade french bread, buns, or cinnamon rolls are always a hit! 14. Become a mushroom farmer, and delight the ‘shroom lovers in your area. As interest in modern homesteading increase, more and more people are on the lookout for dairy animals, heritage-breed chickens, and other options for increasing their self-sufficiency. If you plan to breed animals, please become knowledgeable in the bloodlines, breeding practices, and desired characteristic of that breed. Do not breed just anything that comes along–know your stuff and strive to create the best progeny possible. 19. Keep a ram, buck, or bull and charge for stud services. 20. Start a dog boarding service or pet-sitting business. 21. Raise bottle calves, sheep, or goats. Have skills? Put ’em to use! 28. Have land that needs clearing? Cut and sell firewood. People are enchanted with the idea of farming and homesteading right now. Share your unique lifestyle with them! 34. 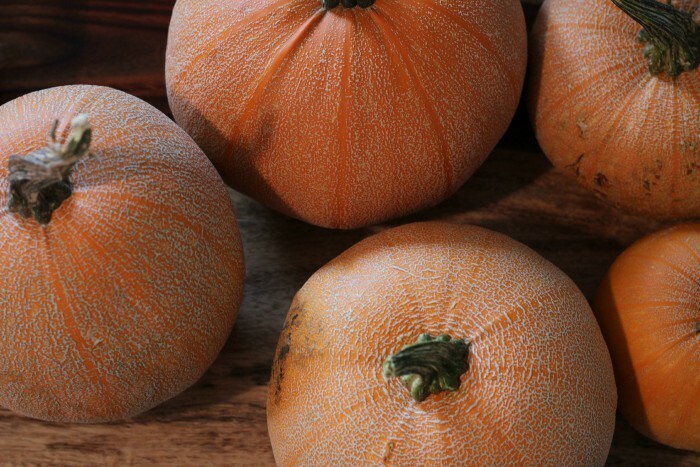 Grow a pumpkin patch, and create the ultimate fall farm experience in October. 35. If you live in an especially picturesque location, rent out your pasture, barn, or land for weddings, parties, photo shoots, or other events. 36. Start a Community-Supported-Agriculture program (CSA). Many aspects of homesteading are not second-nature to most people, and they’ll happily pay you to show them the ropes. 37. Start a blog or website — This is near and dear to my heart, as it is the income stream which has allowed us to create a full-time income while I stay at home to raise the kids. Blogging is HARD work and takes a lot of time, but it’s also very fulfilling. This post explains how I’ve created my blogging income, and I also have an online course where I’ll teach you my “secrets”, if blogging appeals to you. 38. 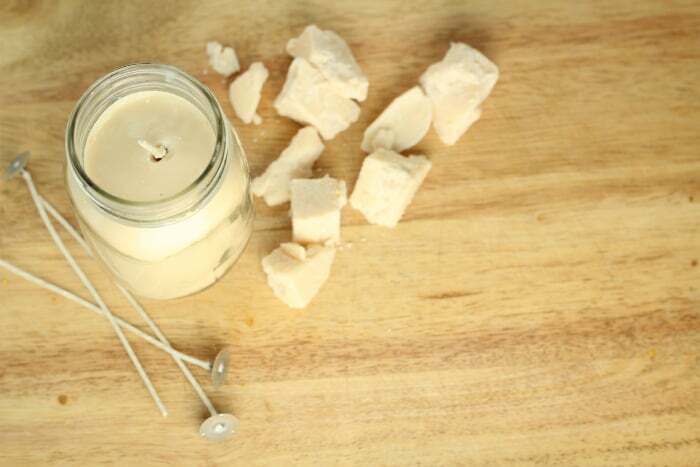 Teach classes — Cheesemaking, fiber arts, meat processing, soap making, candle making, beekeeping… If you have mastered an aspect of homesteading, there’s a good chance others will pay to learn from you! 39. Write and publish a book — Self-publishing makes becoming an author easier than ever. I personally have published through Amazon Createspace, and you can also publish via Kindle, too. 40. Teach natural health solutions — this is what I’ve chosen to do in my essential oil business, which comprises the bulk of our income, and has made things like our crazy home remodel possible. 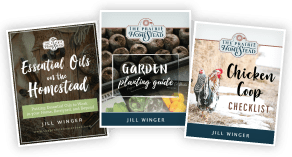 I tell more of my essential oil business story here and how it has completely transformed our homesteading goals & dreams. The main thing all of these ideas have in common? They all take time and effort. Starting your own business or becoming an entrepreneur doesn’t happen overnight. You’ll have to make a plan, overcome obstacles, and push through the times you want to give up. 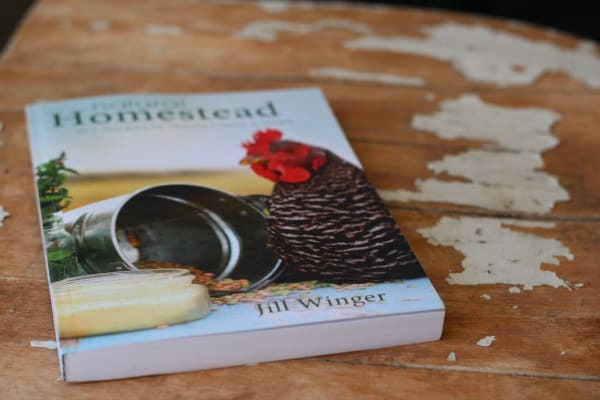 How to Make Money Homesteading by Tim Young – A fabulous resource which will help you formulate a business plan and find inspiration in your homestead business ventures. Pastured Poultry Profits by Joel Salatin – This book will give you a detailed plan of how to raise and sell meat birds for profit. You Can Farm by Joel Salatin – The entrepreneuer’s guide to start and succeed in a farming enterprise. Blogger Blueprint – My 6-week online course where I show you exactly how I make an income from my blog (and how you can too). I was just talking about starting a decent garden on a piece of neighbors yard they aren’t using. Maybe do a time schedule for weeding weekly and harvesting. Put out a honor system table with the vegetables we don’t need and use that money to buy seeds or seedlings for the next year. About 4-5 families help out instead of us each doing our own small garden. I do not mean to be cynical, but in almost every organization, 80% of the work is done by 20% of the people. I think you would be better off selling your vegetables to the people who need them, or bartering with them. 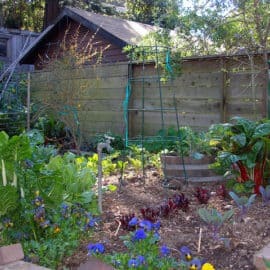 I am starting up my third homestead, and in both previous ones had neighbors who wanted to “garden share.” The problem was none of them had any idea of the work that went into a garden, and were most interested in reaping, not sowing, weeding, weeding and weeding. I keep a copy of “The Little Red Hen” on the coffee table to remind myself of what can happen. It would be fantastic if it worked, and I hope for your sake it does. Proceed cautiously, and be very clear on guidelines for participation, or you will get hangers-on who have no intention to contribute. This lady was talking about my experience as well. All reaping NO sowing. People want things for free, they love the “Idea” but football or some other lame excuse comes first Not for me. We run a garden at our church and it was a terrific idea, like you said. It is in its 4th year now and we have had many sign up for it, but like you said, only about 20 % of the members doing 100% of the work!! We share what we reap, but ONLY if you put in the hours. Gardening is a LOT of work, and it is only fair to share with those who put in the work!! How EXTREMELY timely- I am working on my first ebook for New Farmers right now! I want to chime in as someone who was a Farm Dreamer- a homesteader who desperately wanted to become a self-employed farmer. I made it! So, I wanted to share that anyone who wants to quit their dayjob and start farming- you CAN! Because I am obsessed with entrepreneurship, I think it is amazing what you have here – your “product” actually IS your homesteading lifestyle. Genius! We wouldn’t be here reading if you didn’t have a milk cow FAQ, or a beautiful article sharing your thoughts and feelings and photos involving butchering your own meat. Success in the homesteading blogo-shpere realm isn’t easy and the “market” may be saturated, what do you think? farmerkhaiti, I wish you well with your ebook. I fear this area may be saturated as well as the “blogo-sphere realm”. I choose not to have adverts on my blog. A personal choice, and it means that I make nothing from it unless people use my own links and then buy my book or goods I sell. I have read an enormous number of farming, homesteading and gardening books over the last 60 years. One thing is common with the most successful – they all had a journalistic background, and normally did not make the bulk of their income from the land. Instead they run courses and give talks at high fees. I believe this gives them a head start over the rest of us, no matter how much experience we have before publishing. Well I appreciate your well wishes, and how appropriately named your e-book is! I may just have to buy it because it has an unusually honest feel to it. Now there is nothing I dislike more than those who tell others how to do something they themselves don’t actually do, that’s consultancy! Ha! But farmers (and anyone for that matter ) who do write are able to share their knowledge and thoughts for better or worse, it’s up to the reader to discern whether the writer is authentic or not. Although there are more and more blogs popping up every day, I never really think the market is too saturated for a blog with high-quality content and photos. It’s becoming harder to stand out, but it CAN be done, if you really strive for excellence! You read my mind, I was literally JUST brainstorming last night of all the things I could potentially do to make money! Jill-how much time would you say you spend with your blogging job per week? I love the idea of teaching people what I know/what I’m learning. I spend about 30-40 hours per week on my blog/online businesses. Running an income producing blog is a lot of work, but I love it. I love your Blogger Blueprint course! I’m a long way from ‘homesteader’ status but a friend of mine has a biodynamic farm and she’s about to start farm tours where people can get some hands on experience (milking cows, harvesting, etc.) and generally spend the day on the farm. It’s more about tourism than education, I suppose but, it could spark that homesteader desire in some unsuspecting soul which has to be a good thing! It might work for others, too. Farmers’ Markets are a great place to make some extra money. I have been a vendor for 5 years and every year several people show up at the market with a car full of produce or baked goods and want to set up. They are very disappointed and often quite offended to find out that there is a fee and that they are required to have liability insurance before they can become a vendor. There are also other rules that vary from market to market such as whether you can sell arts and crafts, use plastic bags, attendance policies and more. The thing that is not widely understood is that a farmers’ market is a business entity and must function that way from a legal and administrative perspective. Contacting the market administrator ahead of time about becoming a vendor will save much disappointment and wasted effort. Your caution about checking the state food safety regulations is spot-on because they do send inspectors to the market. I would add that some inquiries at the county health department might also save a lot of headaches down the road. In my state, the county health department has wide latitude in the interpretation and enforcement of the state regulations; they even have a few regulations of their own sometimes. That said, doing a farmers’ market is a lot of work but it is also a very enjoyable and profitable. Yes– anyone who wants to sell at a Farmer’s Market definitely needs to take the time to do their homework regarding rules/laws first! I am glad you brought this up & rules & regs vary from county to county & yes, there are frequent visits from health dept. Even if you are selling from home there are rules. Most places I’ve lived you cannot sell raw milk unless you are a licensed raw dairy. And it doesn’t matter if you label it for pet food. 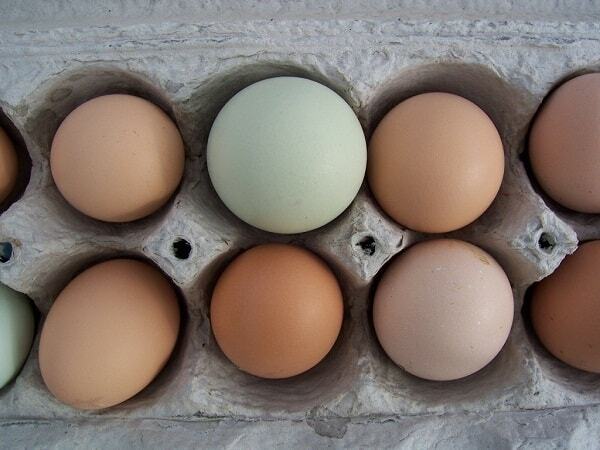 Our farmers mkt allows the sale of eggs but they do frequent temp checks & you can’t re-use cartons from stores. Absolutely no fermented products & no melon samples. It’s tough & a lot of work, but it can be done. Your blog’s very interesting! I really enjoyed it. Thanks for sharing. I enjoy your blog but it also makes me sad as I live in the city and can only do abt 1/8 of what you blog about. I do have my own garden, belong to a CSA, can and freeze. So because of this I support other homesteaders by buying their eggs milk meat etc. Great ideas! Even in an area where there seems to be a plethora of farmers and homesteaders, there are still needs to be met. Just like in the online world, you each can carve out your own niche and have a unique offering of products or services. Sharing this! Yes indeed! Thanks for the share! Great post! I would love to actually make money homesteading one day. Your blog is a wonderful treasure trove of info. I have always loved it. Thank you for the ideas! Aw, thank you so much Jenn! So glad you are enjoying it! Great post! Sometimes we get a little overwhelmed with all the projects, but eventually it will all funnel down to making a living on the farm! Ways to make money on the homestead #40. “Board butcher animals”. We have raised pigs and lambs people have bought until they were butcher size. They pay the cost of purchase, and a ‘boarding fee’ to cover food. If they supply the food, or extra supplement (delivering hay or providing extra slop for pigs) the boarding fee is less. When they reach the size they want to butcher at, we transport to the processing plant (we usually have one ready to go as well, so we do both at once and they pay the butcher fee for their animal) and in trade we get pork fat (to render as lard) the kidneys, jowls, or any ‘throw away cuts’ the customer may not want. We have also assisted in self butchering if the customer is so inclined. This gives town dwellers the opportunity to have fresh home grown meat that they have a hand in overseeing while it grows. Oooohhh, I like that. Great concept. Our family has about 25 acres in Chatham county NC. My question is, is it viable to lease the property to wineries for grape growing. All it’s been used for is hay and some livestock. The kids have out grown horse activities. How would I approach the wineries ? What would be a fair market value? Thanks for this! I’m hoping to get my own homestead started this year! 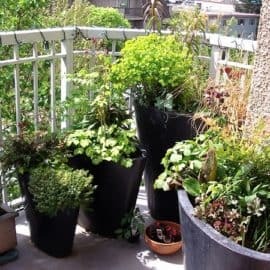 This is really a great and helpful post… me and my husband plan to do this sometime… it will require time and patience, but hopefully we will have all set up in the next couple of years 🙂 Thanks! My husband and I have two acres in the desert and we do several of the things you mentioned. My husband works a full time job teaching and I am blessed to be able to stay home. I am not really a blogger, but I love spending time in the greenhouse. We found that in the desert we really needed a greenhouse we could heat in the winter if it gets too cold and cool in the summer when the days are over 90 degrees. Unlike our first year when we gardened out in the weather (ground squirrels, tons of destructive bugs, rabbits, heat, etc. ), we knew if we were going to garden all year we had to have a greenhouse, so my husband framed it with wood we already had on hand, I spent $20 on 6mil plastic and off we went. I traded veggies for two tower gardens and the tomatoes are doing fantastic, and I’ve had a lettuce explosion. We also grow Swiss Chard, Collard Greens, Cilantro, “Dragon’s Tongue” beans, cucumbers,kale and the list goes on. All of our seed is from Baker Creek, all organic. I also sell eggs and lots of the vegetables to ladies in our church so I really don’t have to advertise or try to sell it on the weekends. I also have goats and we sell the offspring, we do have a buck but I’m not really willing to let someone else doe in with him unless they have been tested for CAE or CL. I make body butters, pheasant feather ornaments and crafts. I also have quail and sell all the eggs they lay. We also have turkeys that we raise for people for the holidays and are thinking about raising broilers also for others and we incubate quail and chicken eggs for replacements. The need for homegrown, especially organic produce is huge and word gets around when you have extra to sell. It can be a lot of work at times but we have found a system to make chores (feeding the animals) much easier and not as time consuming which allows me to spend more time in the greenhouse. The money we make from the produce and eggs helps with the animal feed and one of the most satisfying parts is that people want to come out and see what we do which gives us the opportunity to teach them that they can do it too, even if it’s not as big as what we do. So out of that we have fellowship, the children have a blast and learn about gardening and animals and all of that is worth more than money. I hope this will inspire more people to grow their own food and be more self-sufficient. Hi! We are looking to start a homestead near Las Cruces/El Paso but we are super fearful of “desert homesteading”. We are both originally from the midwest and will be novices for lots of things. Do you have any resources or desert homestead blogs you could recommend? I’d also love to hear about using the greenhouse to “cool” in the summer. How is that setup? Thanks. We will only have about 1.5 acres but has a well and irrigation rights. We’d like to garden and do chickens/goats, maybe even sheep eventually. My husband is the gardener of the family so far and has done raised beds in the city but we’ve always had mediocre results.. Any desert related resources would be great! What an incredible list! I would also caution against too much too fast. We raise our own food, mostly for out own consumption. We do sell a small bit for profit, or just give it away for fun. I would have come home from the sale barn with chickens, pigs, rabbits, cows, and a puppy the first week. Thankfully, I am married to Mr. Cautions (slow) and we have steadily added one adventure to our homestead each year. Year 1 – Fruit orchard, Year 2 – Garden, Year 3 – chickens, then pigs, then cow(s), etc. One each year. 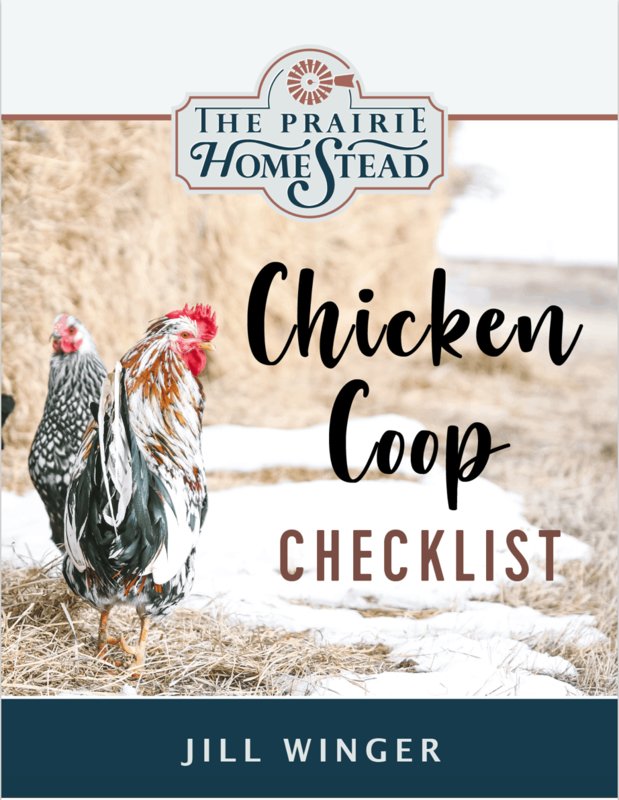 It has been a great way to ease into homesteading and really focus on learning the “how-to’s” one at a time. I agree– one thing at a time! These are great ideas! It’s definitely a long-haul approach, considering the legal hoops and fees, but can be worth it. Two preteen sisters in the town my Dad lives in started their college fun by keeping bees and selling honey at the farmer’s market. They’re now seniors in high school, sell other beeswax products (including an amazing honey soap) and have raised enough for two years’ of college education apiece! Plus, in the process, they learned fantastic business skills, DIY, public speaking, etc. And also, here in Seattle (and I assume other places) there are also barter groups, so if your garden emits way too much summer squash, you can trade it for some other staple (like goats milk) that you would otherwise have to buy. It doesn’t MAKE money so much as cut expenses, but it’s also an option. My chronic Lyme disease has slowed me significantly. I’m having a go at producing educational films! How do you sell the meat products that you raise on your Homestead, legally ? I live in Florida and looked into it and it seems near impossible for a homesteader to do so, without being a big commercial operation. Is there any loopholes I’m missing? We can’t in Wyoming without a lot of hassle. However, you can sell the animals themselves, so some folks handle it that way. Hi, I live in the UK, in a village, only three miles from town. I adore your blog. It reminds me of growing up with fields. I particularly like this post about diversification and ways to achieve income. Some ideas i thought of are:- plant a maize maze for people to visit, buy alpacas and sell wool to spin or find someone in the know who will run a class for you, if you have a building standing empty – turn it into a schoolroom for adult workshops and employ the skills of a visiting tutor (you don’t have to be an expert at everything), spare bedrooms – run a residential quilt/embroidery course one a month/every couple of months, spare barn – open an “Antiques” barn (I saw loads in the North Carolina and Tennessee), open an outdoor cinema with tummies to eat, train sheepdog/cattle dogs to sell, put on an annual craft and farm living show – invite neighbours to rent a stall and have family fun races, open a children’s experience with tea room and petting corner’ a neighbouring village holds a “Rag Market” – not grotty stuff, just the stuff you’ve bought for crafts and never used – knitting yarn, fabrics, buttons, threads etc – it’s hugely successful – people rent a stall and sell their stuff and lastly, a car boot sale. Thanks for writing such an enjoyable blog. 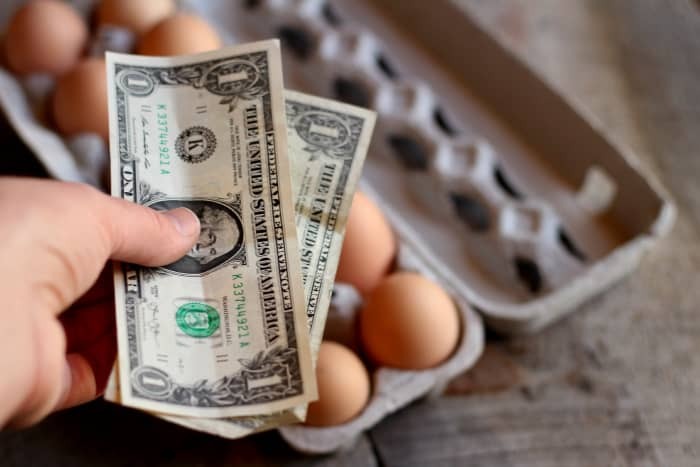 I would have liked to have seen at least a five dollar bill beside the dozen eggs. ‘Farm Fresh Eggs’ are highly unappreciated and undervalued. Just wanted to leave a suggestion on how to avoid a Farmer’s Market and still have a great business. We went way overboard on our vegetable garden and looked for a way to sell our excess. Consider finding a store or shop close to your farm and ask to “set up shop” in their parking lot near the street. This frees you up from Farmer Market rules and fees. You call your own hours. We sold veggies Mon through Sat from 9 am to 6 pm on the main drag in front of a meat business. As we got older we had to quit but went into painting and selling bird house gourds as a business. That all started with planting too many beans! Jill love your blog best on the Internet. Me and my wife grew up in town moved to the country 3o years ago never looked back love country living would not live any other way. 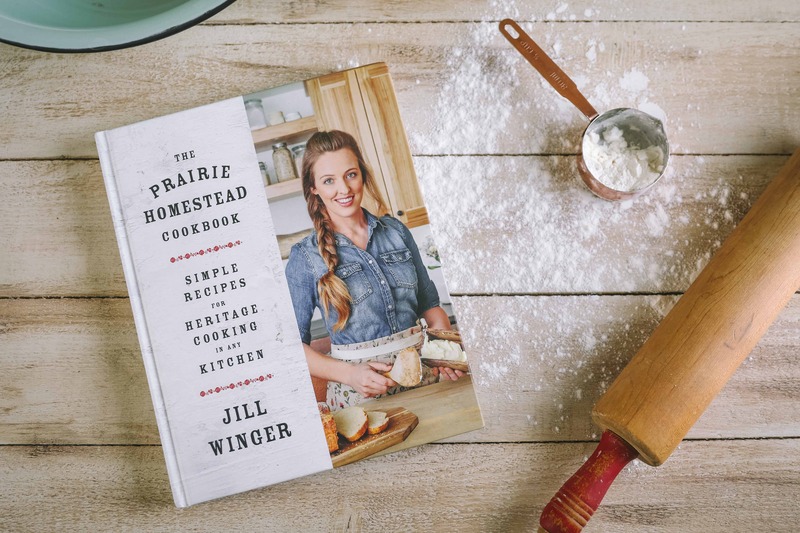 I would urge hopeful homesteaders to make the move but proceed slowly do not overestimate the amount of money you can make selling products from your farm. Carefully do the math keep acurate books commercial feed is very expensive supplies add up very fast, tools and equipment are an investment but can last a lifetime vet bills can be huge. We have tryed several of your money making projects with minimal or no net profit. We garden raise chickens, ducks, pigs, cows, butcher deer wild game just for our consumption and our extended family. We do not try to sell anything it is not worthwhile. so that your loan request will be granted and you will have good testimony to share. Hi my four young kids ,wife and I live on an 8 acre piece of land in Ohio just outside of town. We have done chickens,bees,and gardening and have yet to break even. Disappointing but yet the pride you feel in doing these things ,and the respect you get from those who don’t even dare try make the efforts worth it. Not to mention the maturity that comes in children when they feel there contributions aide the household. It ‘s amazing to watch young ones enjoy the fruit of labor. This is our sixth year as a bed and breakfast on our five acres. The university in town is a steady source of income with football games, graduations, family weekends, etc. We also host parties and wedding receptions (even one wedding). Nice supplemental income for our retirement. Business insurance is a must, though, along with paying the proper taxes. The nice thing is that a newbie to the B&B field can rent out one bedroom or all they have. Great info! I got my milk cows initially to raise bottle calves. That has worked out pretty well. I keep them fresh for about 10 months with their calves born Jan. 1st, wean May 1st and put new calves on them for the balance of the time. I can put two calves on one cow if needed. Then I milk for our family and a few milkshare customers. I also raise pigs for custom processing. It’s so much fun. My cows are so sweet. Thanks for the post about training a heifer. I’ve bought trained heifers from the dairies, but I’m selling a heifer for a milk cow this year. Keep up the good work! I enjoy your blog very much! Thanks for sharing your post. 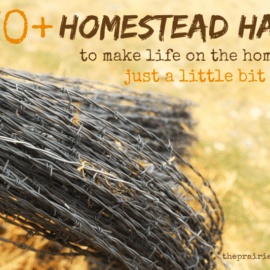 In homesteading, there are so many things we can do and get profits from it. If anyone wants to learn the way to save money on homestead then visit this link http://www.homestead.org. 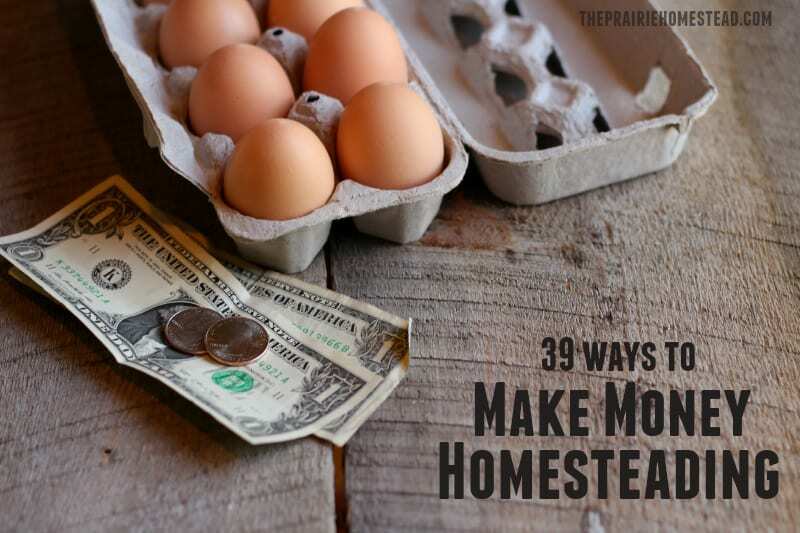 Here you learn how to save money on a homestead and make money with homesteading.